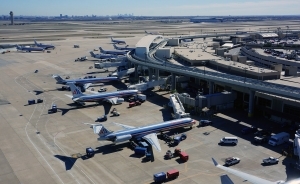 FORT WORTH, Texas (AP) – Aviation officials say talks are expected to begin this spring on adding a sixth passenger terminal at Dallas-Fort Worth International Airport, the main hub for American Airlines. The Fort Worth Star-Telegram reports that airport authorities say there’s a good chance Terminal F could be built with design standards that allow more airplanes to park in a smaller space. Terminal C, the airport’s busiest terminal, would also likely be part of the project as it hasn’t had any capital improvements in two decades. DFW Airport official Sean Donohue says no financial projections are available. But it’s likely the new terminal would be a key part of an airport capital improvement project that could cost as much as $4 billion through 2025.